Bill and the Baltic Boys left very early this morning for Helsinki, where they are now in a long layover until they depart for Kennedy Airport in New York this afternoon. I’m waiting in the Tallinn terminal for my flight to Copenhagen, and then to Chicago and finally to home. All has gone very well. The Estonia Geology Team will check in now and then with blog entries detailing their lab work and other projects related to their thesis research and professional papers. We are again grateful to Olev and Ingrid Vinn and Helje Pärnaste for their invaluable assistance while we were in Estonia. A beautiful country and a beautiful people. We also want to thank Suzanne Easterling at Flair Travel for sorting out the complicated arrangements, including making sure an errant train ticket reached me in Moscow over five weeks ago. 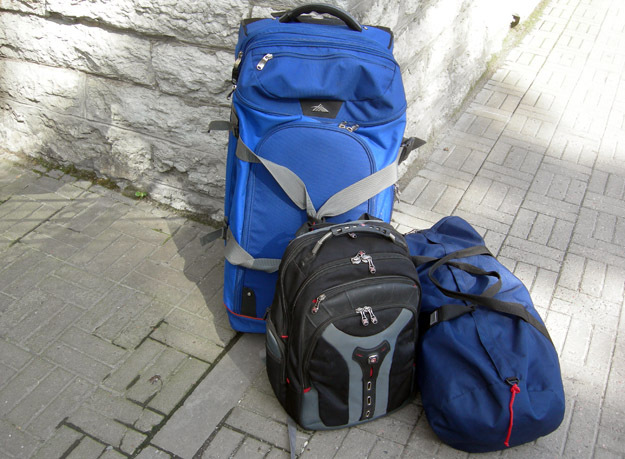 UPDATE: Everyone arrived home … with their luggage!